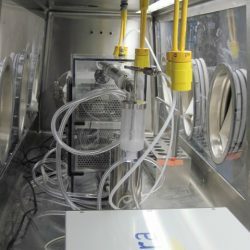 The AeroMP was developed in a high containment research laboratory specifically for conducting aerosol studies with infectious agents [Hartings and Roy, 2004]. The design, therefore, incorporates many features that ensure suitable for work in these facilities. 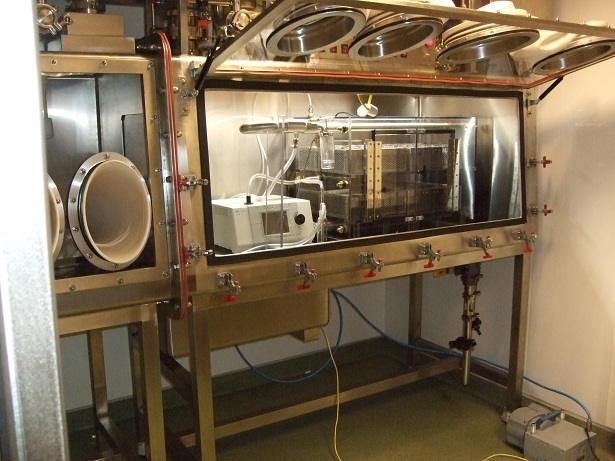 First, all of the components are designed to fit inside a glovebox, isolator, or other containment system. 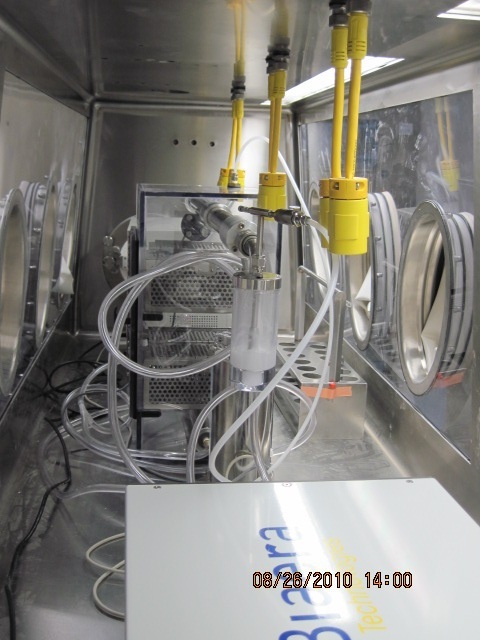 Having all of the components inside the containment barrier ensures that potentially contaminated air does not need to be pulled outside the isolator to power or operate the system. 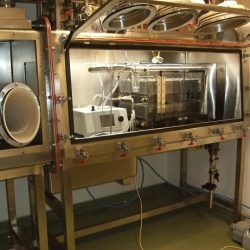 In the case of any operator error or component malfunction, all potentially contaminated air and materials are safely contained within the engineering control of the isolator, keeping personnel and the laboratory environment safe from contamination. 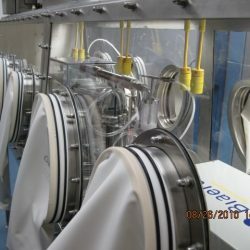 Second, all of the materials were selected to withstand decontamination with formaldehyde or vaporized hydrogen peroxide gas. The improper choice of materials will cause components to corrode and degrade with repeated decontamination procedures. AeroMP system performance and materials will not degrade under these harsh conditions. Third, the AeroMP casing and components were designed without harsh edges, pinch points, or breakables that could tear isolator gloves or compromise the integrity of the containment system. This feature is critical to ensuring that normal operations do not risk a breach of containment. Finally, the AeroMP was designed to be assembled and operated inside the isolator without the use of tools. All connections are achieved with quick release fittings, feruleless fittings allow toolless tubing change and repair, and the internal supports eliminate the need for ring stands or lab jacks in containment. 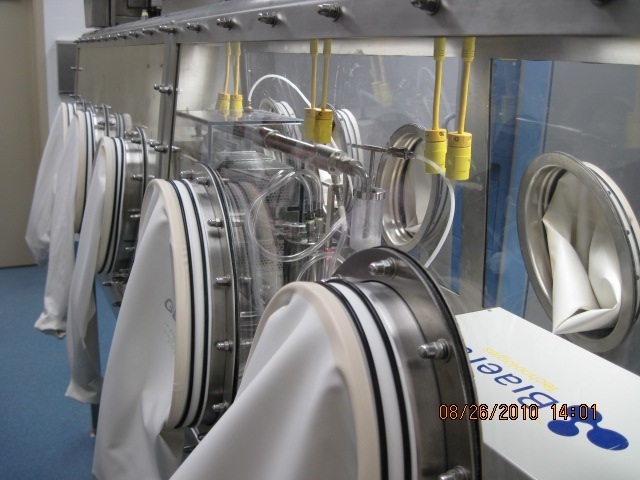 The use of screwdrivers, scissors, and other tools present a hazard in isolators. Use of the AeroMP eliminates these hazards.